Victory Works: GWR Saint: In game! 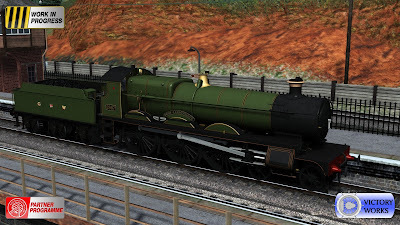 As promised it's time to see the GWR Saint all textured up and in Train Simulator. 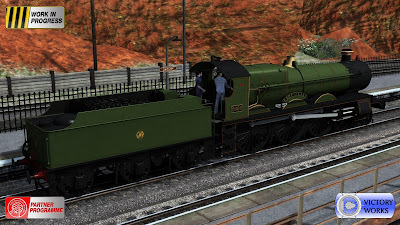 We're really pleased with how this loco has turned out, bringing together everything we've learnt to date with all the best features from the Peppercorn K1 and USATC S160. 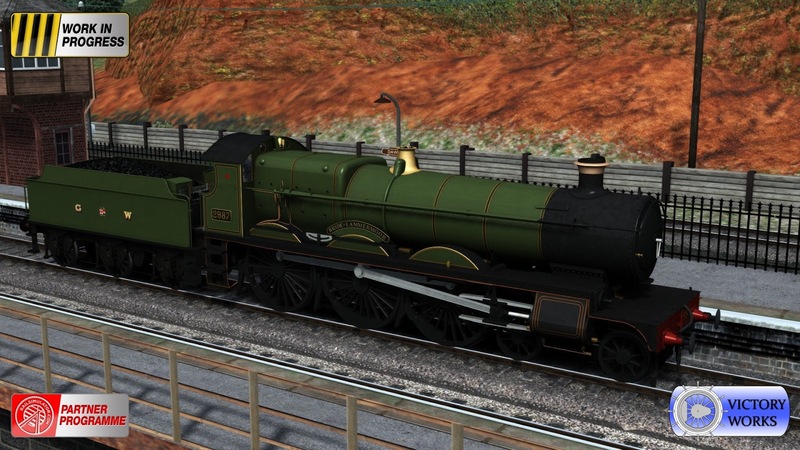 The GWR Saint and TPO DLC will be coming with both square and curved frame variants of the 2900 class and in liveries for 4 GWR eras: 1905-26, 1926-34, 1934-42 and 1924-47. 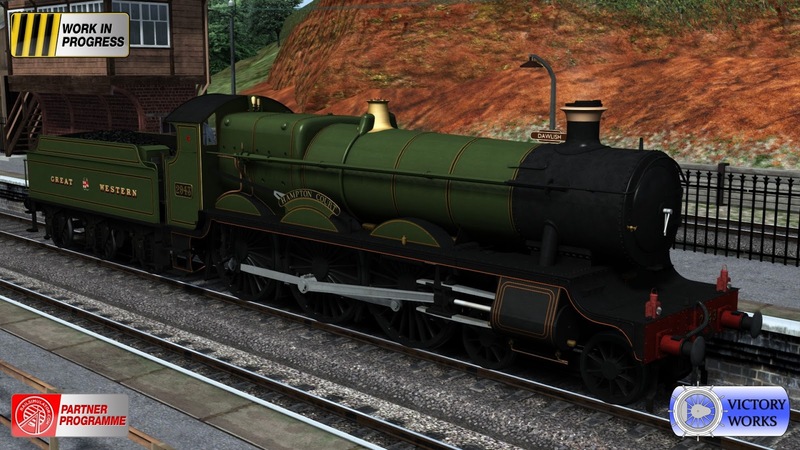 All 74 members of the class (Scotts, Ladies, Saints, Courts) are included along with 1 of the 3 prototypes, "Albion". The 3500 gallon tender is available in riveted and smooth sided styles with 6 different livery options including 2 non-express versions (although not officially used on express services sometimes tenders were provided using "whatever we've got available"). The tender is fully compatible with water troughs. 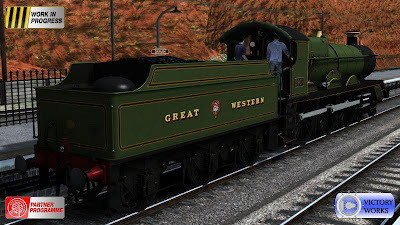 Red or White lamps are optional based on the era, as well as selections for any reporting code you choose, outside or inside steam pipes, headboards (Cornish Riviera, Torbay Express and Mayflower), and speedometer. 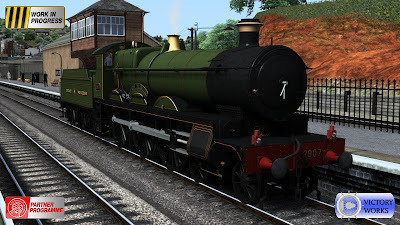 All of our usual advanced features are fitted including steam chest simulation, realistic injectors, 3D firebox, head out views for the cab (driver's AND fireman's), animated controls on the external model and we've even come up with a great new stoking system - no longer will you be forced to trickle feed coal into the firebox but you can put it in in shovelfuls, all timed perfectly with the cab sounds! So without further comment, the 2900 "Saint" class.. 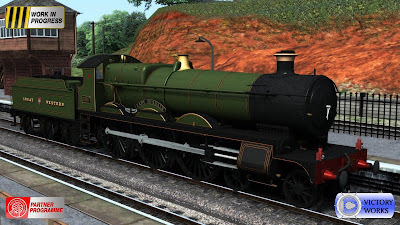 In addition to all of the 2900 class the DLC will also include the working GWR TPO baggage coach and sorting coach (in 3 GWR liveries) and line side apparatus (including marker boards, huts, etc) and repaints of the Collett "Sunshine" coaches from the Exeter-Kingswear route in two GWR liveries, 1934-42 and 1942-47. 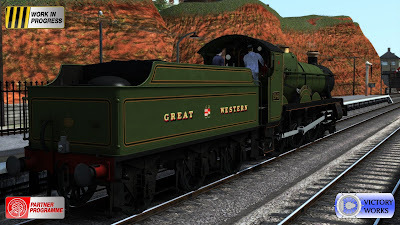 Currently we expect to include 4 scenarios for the Exeter-Kingswear 1950's route based around the Great Western TPO service. 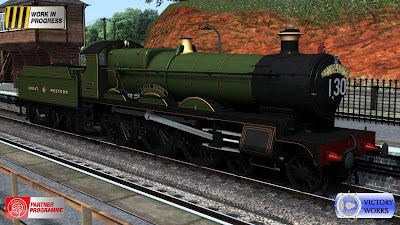 So that's everything as it stands at the moment. 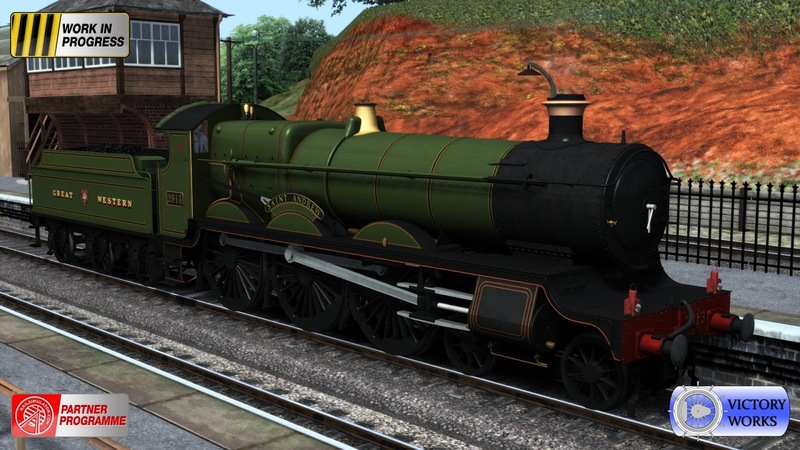 Next week we expect to have some in-game pictures of the TPO coaches and soon after we will make some videos to show them in operation. Nice cnt wait to see them working although my only question is the terrier after this? 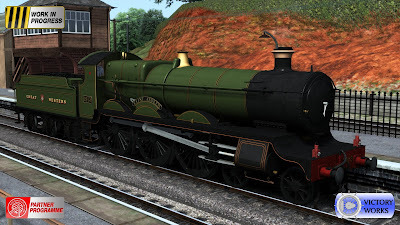 Did you fellas hire SSS to do their magic again as well? Will 2999 Lady of Legend be included in the pack. My goodness. A true example for me as a fellow train modeller!